Dentistry is ART learn why!!! Dentistry has advanced phenomenally in the last 25 years and with the introduction of the CEREC machine, the art of creating a beautiful natural looking crown previously fabricated in the dental lab, is now completed right here at NOVO. 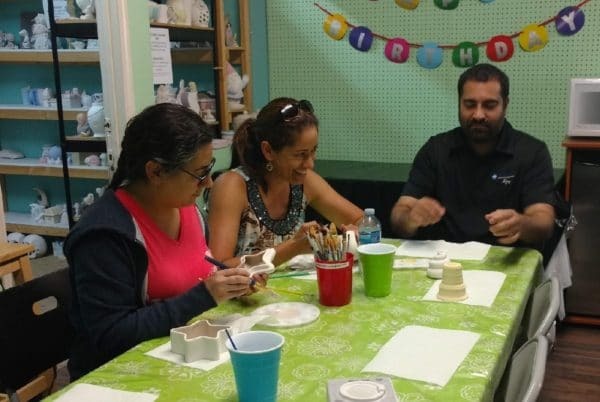 Dr. Provo had a brilliant idea – what better way to assist Team NOVO in fully understanding the process of custom staining and glazing used with our, “In-office ceramic crowns”, than to spend a fun evening at the Clay Cottage. 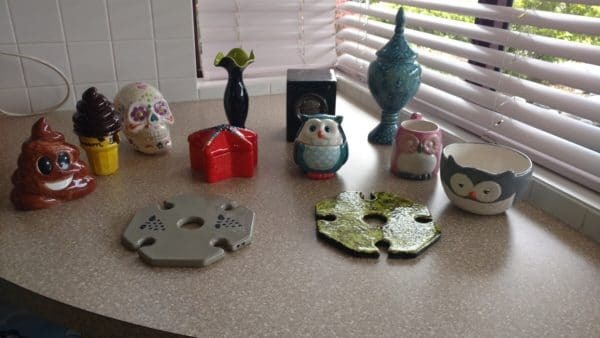 The Clay Cottage Ceramic Studio is a fun, friendly place where you create your own work of art. Whether you’ve got an artistic side or never held a paint brush in your hand, this place is great! There are over 100 pieces to choose from and if you still can’t find the perfect piece you may choose from their catalogue. Truly, the selecting of which item to paint is the hardest part! 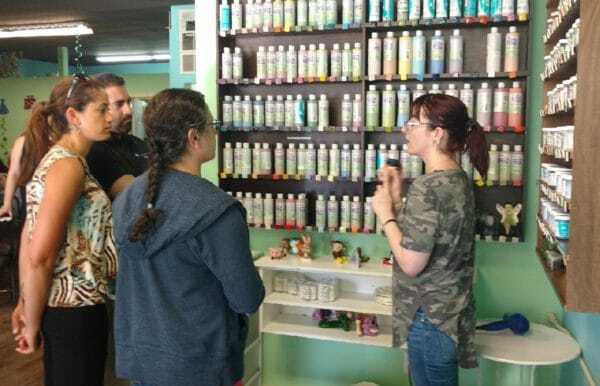 The next step is paint selection – they have a myriad of colors and expert advice to assist and guide you in creating your masterpiece! Once you have completed your creation your piece will be glazed and fired in their kiln and will be ready for pick up in about 5-7 days. The paints and glazes are non-toxic, food safe and can be put in the dishwasher and microwave. They also host birthday parties, baby showers or other occasions at the Clay Cottage. Team NOVO was invited to an evening at the Clay Cottage by Dr. Provo as a way to experience a similar process of custom staining and glazing used with the CEREC crown system in our office. The CEREC system allows Dr. Provo and Dr. Nada to produce a ceramic crown in one appointment! This advancement in dentistry saves our clients from having to make two trips away from work or home, having the goopy impressions taken of the tooth, and a provisional crown for 7-10 days, while the lab fabricates the permanent crown. Now, in one appointment, the tooth is prepared and with a specialized camera a 3D image of the tooth is scanned into the computer. The new crown is then designed by Dr. Provo or Dr. Nada, and the detailed specifications are sent electronically to the CEREC milling chamber where the crown is milled from a 1 X 1 inch piece of ceramic right before your eyes! This crown is then custom stained and glazed to blend beautifully with your surrounding teeth. Similarly to the process at the Clay Cottage, the crown is then placed into the firing oven, heated to 700 degrees Celsius for final customization and hardening. Once cooled the new crown is ready to cement into the mouth. 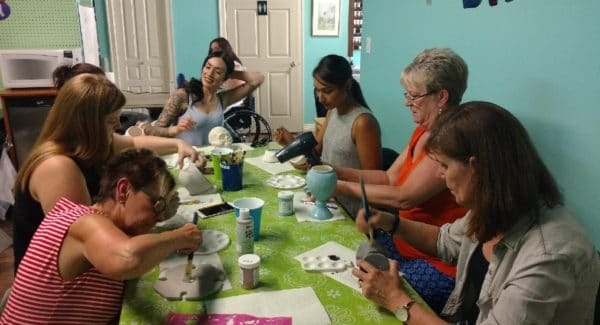 The evening spent at the Clay Cottage was enjoyed by the entire team who also gained a deeper appreciation for the artistry involved in creating a beautiful ceramic crown. With this new found understanding of the concept used in dentistry, team NOVO wanted to share this experience with the rest of their dental family! 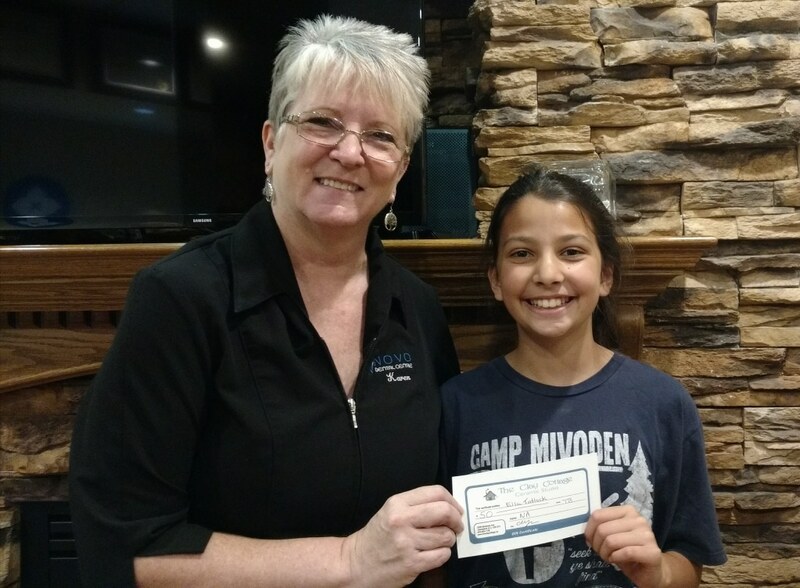 Ella was NOVO’s June monthly draw winner of a $50 gift certificate to the Clay Cottage and is sure to have fun painting her one of a kind masterpiece! Should Dr. Provo or Dr. Nada ever need a hand customizing a ceramic crown in the office, Ella will be the first one they call!! !